This is the knife that has set the standard for highly carved svelte Persian Autos and few if any following this outstanding auto have come close to emulating Olszewskyâ€™s piece de resistance, by any maker on this planet. It is a poetic depiction of tribute to the grape, expressed in immaculately carved Walrus Ivory, 18K gold, Rados damascus, all inset with three faceted black diamonds. This knife was selected for the COVER knife of Blade Magazine. Request additional and larger photos if needed. 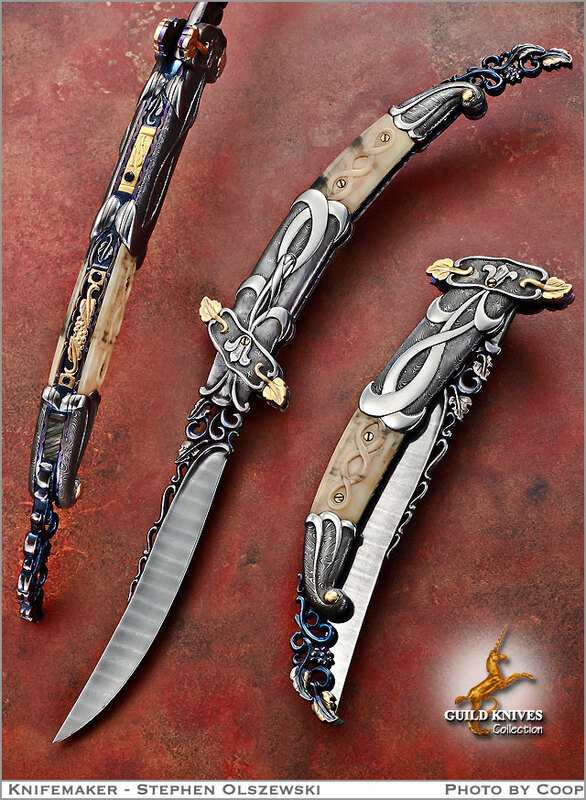 Rados Damascus, profusely pierced bas relief carved blade.